Having been using an Android mobile phone for some time now, I've actually scoured the web for a Star Trek theme for a really long time. Results were always the same. Similar to a search for cash in my wallet, nothing of note if anything at all. I began to wonder if my sense of desperation to fulfill that geeky need to have some kind of trekker (or trekkie) looking phone device in my hands, the way one would feel when stuck in the middle of an empty plain with bursting bowels, would ever find relief. Then it dawned on my wilting mind that I could dig a hole myself, instead of waiting for a kind passerby. Starfleet didn't prepare me for this. 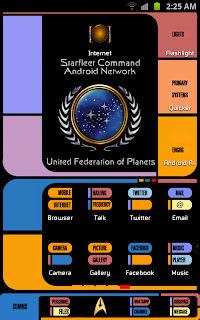 Now I have my own little Star Trek inspired theme on my Android, and I feel a little closer to the future. And my mind is back in space. Or probably just pretty much spaced out as usual. I still pretend to be a handicapped Vulcan who goes through pon farr every seven hours. Ok, maybe I'm not pretending. Feel free to get it too, if you are using an Android smartphone and have a little urge to have a similar look installed. 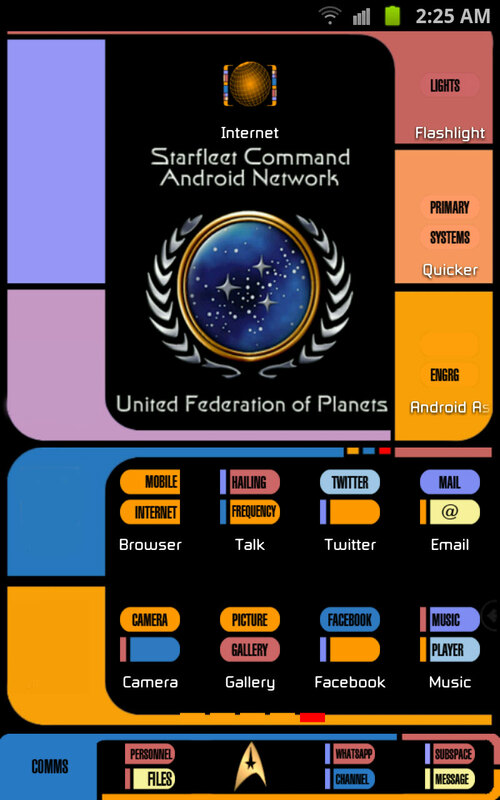 Just take a look at the LCARS Star Trek theme for Go Launcher on Google Play (link) and make it so. Oh yes, you'll have to use Go Launcher Ex to use this theme, which comes with a host of very cool features too. If you really like it, and you do use it, my deepest thanks to you for buying me a drink. If you should pop into Ten Forward, I'll bring some Orion slaves along to entertain you. Live long and prosper. Even if your planet has been destroyed by a reboot. There is an eerie compulsion to be nice even though according to certain reliable sources, I am obviously not (I might also say I think that Geylang is just as a reliable source, for virtuous potential foreign brides). An odd Neanderthal need to be appreciated by the ones I love or care about. 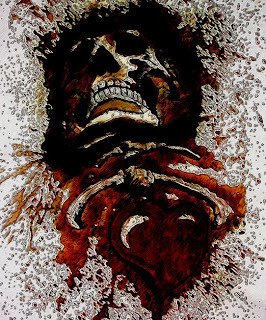 Much as the darkness that thrives in my words and its incessant whine on the pointless deeds for nothing, people and life, I still end up trying. Tasting sweet nectar occasionally, I push on only to realize the foul phlegm spat upon my back. I can still feel it encrusted on the blades wedged between my shoulder blades by hands of a proclaimed epitome of empathetic kindness. I guess some people might take the loving stealth, demonstrated in placing the forementioned sputum from a discreetly malicious mouth and knife, without my knowledge, as love. I certainly hope they experience the joy that they so lovingly offer to others, as well. Many times over. 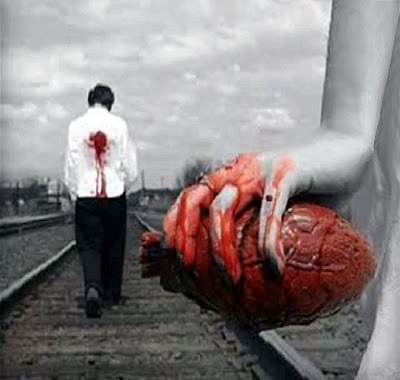 Well, I did talk about the darkness within my words, haven’t I? Nah, I don't wish anything on them. Life has a beautiful road of parity on it's own. Duplicity is amazingly mirrored and ultimately projected to and from the associates in their lives. But there is a reason for my words, I suppose. Caring and sharing has certainly improved my life. It has lightened my load, especially where assets and cash are concerned. And it has also dramatically provided my complexion with a certain glow, much like a radioactive scrotum. Do the right thing I say, in light or darkness. Silly me. I’ve been roasting a brick, while dreaming of marshmallows. I’ve always wondered, if there is really something this world has to offer. After all that I’ve gone through, I can honestly say, yes. Being the deluded clever thing that I am (one might say I resemble those round things found on the tentacles of an octopus), I dove right in to experience every sensation I could from what I would assume to be the beauty of life, within the confines of what I would desperately attempt to hope is the morally correct thing to do. I discovered how life offered me a chance to bleed. I didn’t believe it. I believed truly in the possibilities of truth and integrity. It gave me a new fork deep in my perineum. I still believe in life. I truly still do. I believe it will end eventually. Soon. Please. I'm flexible, I'm a control freak. I'm witty, I'm a fool. I'm quiet, I talk too much. I'm a blessing, I'm a torment. I'm loved, I'm an alternative. I'm at peace, I'm in pain. I want to live, I want to die. I am me, I am somebody else. I am a joke, I am not funny. I want more, I have had enough. Ever felt like everything you're doing or everything that you are just doesn't quite click? I am writing this down now, that I might remember how and what I am feeling. It's not the first, and when I felt so before, something has or will happen in my life. And it's not a good feeling. The last time I felt something similar, it changed my life and threw it into the gutters for a couple or more years. Other times, I may not have realised the changes or perhaps I didn't pay attention in my own spirituality. Other times, I felt blessed and had embarked on mission work for a short while. Now, my mind seems to be going in circles giving me a numbed headache, my heart racing downwards as if towards a certain unsavoury feeling. I am rather nauseous intermittently. There is a bad feeling around me, what perhaps one might call bad vibes. I know not what to do. Yet I feel like my Father God is stirring the Holy Spirit in or around me and perhaps warning me or perhaps preparing me for something to come, or already has. I praise Your Name above all names. Give me strength oh Lord, and wisdom. I trust in Your ever-abundant comfort and love. I shall endeavour to walk with You always. I'm sorry oh Lord, and do forgive me, where I have trespassed against You. You are my shepherd; I shall not want. You lead me beside the still waters. will guard my heart and mind through Christ Jesus." Thank you, Jesus. In Christ's Name. Perhaps, You'll have a little whiskey with me. In moderation. You and me, we have no part, of the money, cos we're not smart. We need spurs in our hides, to work day and night. Can only stop, after we've died. We are told that we are daft and ignorant lor. There's no reprieve, there's no reprieve. Pay money, give my life till no more. So our ministers can earn even more. I wander through life as if wandering through a field in the dark of night, wearing a blindfold and very heavy shoes, with poisonous snakes waiting patiently beneath clumps of weeds, knowing full well that eventually I will come close enough for one to bite me. And there aren't really 69 blogs either. Numerically or positionally. Just got bored over the holidays in 2006 and was itching to do something. Didn't get to do it, so I did this instead. I really should get a hobby. And so should you, if you're actually reading this crap. Just a manic look at stuff and an avenue for pent-up releases. I know, I could just fart. I provide massages for ladies too. And yes, I'm just kidding.